Getting a position in the field of law has always come with the perception that you need to spend many years and thousands of dollars on becoming a lawyer. The reality is that most law firms wouldn’t be able to without their vital paralegals, and training to become a paralegal can take as little as nine months! The importance of paralegals to the modern legal sector can be seen in the rising demand for them. Employment for Paralegals is expected to increase 8% from 2014-2024, faster than average for all occupations according to the United States Bureau of Labor Statistics. 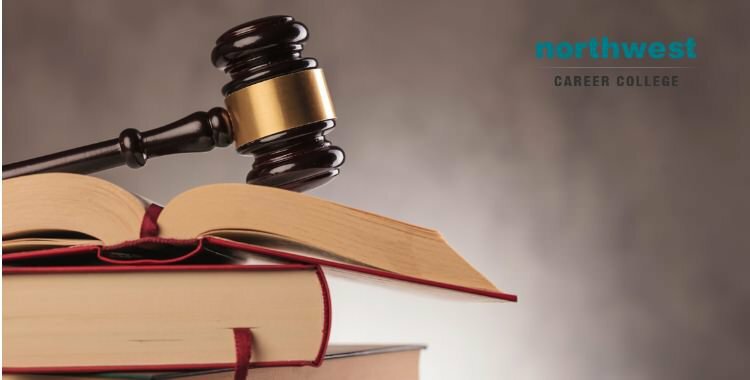 So if you want to start a career in Law, but without the price tag, then training as a paralegal is an excellent choice, but how do you know if it is a career suited for you? Many of the skills every good paralegal have match up with the skills we use in everyday life. If the list below describes you as a person, then the chances are that you’d make a great paralegal. Are you whiz when it comes to words? Are you the person everyone feels that they can talk to? If so, then working in the paralegal field will really suit your style. Clear and accurate communication is a key part of any paralegal’s day to day job. Interviewing clients, communicating the contents of briefs and reviewing and summarising document are activities are all responsibilities that need you to be clear and direct. Wi-Fi that won’t connect, printers that don’t want to print, phone calls that can’t connect. These kind of tech-problems are part of everyday office life. If you are the kind of person who takes charge and makes sure those kinds of tech hiccups are fixed, then you have the IT savvy and pro-active attitude that it takes to be a paralegal. Everyone loves a good true crime podcast, but are you the one that has already figured out the culprit before the end, or guessed the twist ending of everyone’s favorite TV show? A natural inquisitiveness and critical-thinking skills are a foundational part of what makes an excellent paralegal. Are you often found with your phone glued to your ear while sending a email and still managing to read that interesting article? It’s no secret that law firms are a busy place to work and there are normally a lot of plates to keep spinning at any one time. Being able to manage your priorities and work on multiple tasks is a vital part of what it is to be a great paralegal. So, if you manage your to-do list like a boss, then this might be the right career for you. Most people like routine, it’s safe and comfortable. You aren’t one of those people, you can be as flexible as possible when the need arises and you adapt to pretty much any situation. Connected to being an excellent multi-tasker, being able to be flexible and adaptable is hugely important to work as a paralegal in a fast-paced- law firm, allowing you to change gears and take on new priorities without falling apart. Independence and proactivity are all well and good, but sometimes you just can get a task done on your own. You know when it’s the right time to ask someone else to step in and give you a hand or just get fresh eyes on a problem. Your friends may make fun of you for obsessively checking the weather or being the one that keeps to a meticulously managed scheduled, but they are always glad you are there to provide them with an umbrella, help them plan a move or get them to the airport on time. If you’re a natural organizer then working as a paralegal will come naturally to you, where organization, attention to detail and punctuality are vital parts of the job.